SharePoint 2013 has been instrumental in moving numerous enterprise functions to the cloud, these include- communication, collaboration, data saving and access to name a few. Office 365 package enables web hosting for SharePoint 2013 which poses numerous challenges for the tech team but comes with a highly secure, unique solution for managing data and communications. The technology operates at three levels – intranet, internet and extranet. So, employees of an enterprise can use the SharePoint server platform to communicate with colleagues internally to collaborate on projects or share files, externally they can communicate with partners, customers and even colleagues who are located elsewhere and over the internet for sending emails and chatting etc. Cloud computing technology came into prominence over the last few years with major IT firms launching Cloud Databases for storing files. The technology can be utilized to store documents, folders, files, presentations , audio-video clips on the internet to be accessed with any compatible device having internet access. With the advent of mobile technology, the cloud computing technology is being fully exploited at enterprise levels whereby employees are connected with the business via various platforms at all times. SharePoint 2013 comes with numerous cloud computing capabilities whereby the user can migrate numerous workflow management processes, communication and collaboration functions and data creation, storage and access to an online hub. This hub will have varying levels of access for all the employees of the group to undertake projects and other collaborative activities. Companies that are using SharePoint’s older versions, 2007 or 2010 are aware of the numerous benefits of this cloud based platform. 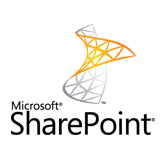 The SharePoint 2013 comes with many newly added features to enhance its productivity features. Professional help from a SharePoint service provider will help ease the migration process since complex scenarios are likely to arise and adequate training needs to be imparted to the employees who are new to the system.